1. Fender Gap: Measure your wheel gap for clearance. You will need at least 2.0" (50mm) of fender clearance to prevent the wheel/tire from hitting the fender. [VERIFY FITMENT] Applicable for many Kawasaki, Bombardier, & Can-Am ATVs/UTVs. Before purchasing, see Description section for specific year and models and also to read the Important Notes section. 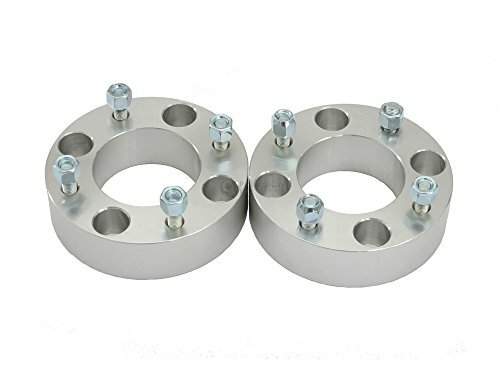 [IMPORTANT STUD INFORMATION] ATVs/UTVs come with different size wheel studs. Before purchasing, you MUST check the thread size of your wheel studs. These spacers WILL NOT WORK if your machine does not have 10x1.25 threading. [PRODUCT BENEFITS] Quick bolt on installation. Gives your vehicle a more aggressive stance. Improves handling characteristics and stability. Fixes brake caliper clearance issues. Increases tire clearance to allow installation of wider wheels and tires.